Too often designers worry that their work is “wrong” or “not finished”. One of the unique things about working at IDEO is the company’s dedication to learning from these “failures”. We are encouraged to fail early so that we succeed sooner. The idea that as designers we can all try things out and not be afraid to just start somewhere is liberating beyond measure, not to mention helps us to evolve the design we are working on much faster. We recently hosted a 36 hour Make-A-Thon in which we invited designers and developers to our London studio to solve a series of challenges for social good, including cycle safety. 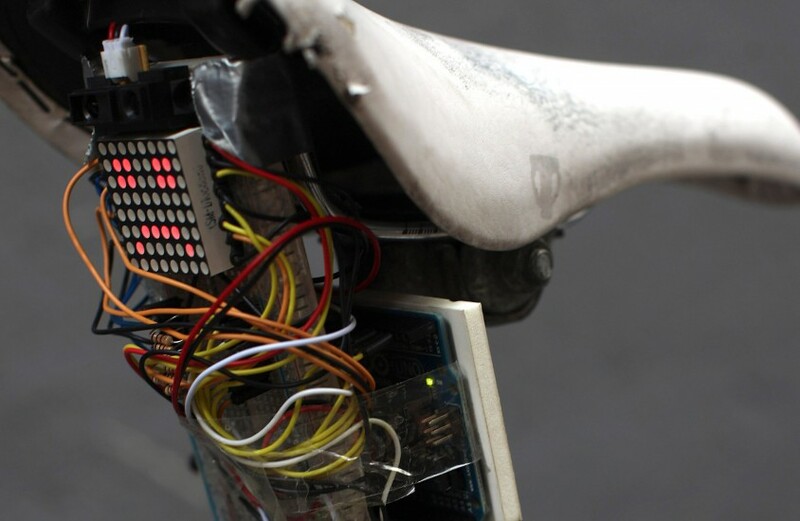 One of the concepts was this proximity-sensing bike light, that frowns and beeps when cars get too close – a rough, but working prototype built over night. Proof that you don’t need to make a perfect model to get your idea across. Too often ideas just stay as ideas. Thinking or talking about an idea doesn’t make it into a real thing. On the other hand, working alone in a vacuum, endlessly perfecting the idea isn’t helpful either. To stop these things from happening, why not embrace a different perspective on failure? It’s also important to get these first attempts as tangible as possible. People find it much easier to talk about and comment on something tangible than an abstract idea because words alone can take any form in people’s minds. What two people imagine from an explanation can be worlds apart. But a thing – or a prototype – is solid. And it can take any form, it can be an object, a short film, a sketch or a role play, depending on whether you are prototyping a product, a service or an experience – a tangible draft of an idea. It doesn’t have to be perfect either. In fact, showing people a rough prototype gives people permission to give you more brutal feedback because they don’t think you’ve spent hours labouring, worrying that they might hurt your feelings if they don’t like it. People find it very easy to tell you what is wrong with something. If you show them a seemingly perfect solution straight off they’ll just say “Yes, that’s good” and then what will you learn? If you show prototypes imperfect, people can speak at length about what the problems would be for them. What you then have is a set of rich learnings about people’s needs and desires that will help improve your idea. By giving ourselves permission to not get it right the first time, and being unafraid to ask for feedback on these first attempts we can start to set ourselves on the path to better design. How can you use this process of failing to succeed in your everyday work? How can you make your ideas tangible and start to get feedback right now? And how might we all just be a little less afraid of our ideas not being perfect the first time? IDEO’s Paul Bennett reflects on the benefits of embracing failure.